Traditional Temari crafting in Japan is supported & promoted by the Japan Temari Association. 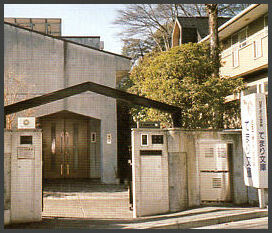 The JTA (literal translation from the Romanji is "Japan Temari of Group/Society") maintains its main office in Tokyo, including the JTA Temari Museum. The offices and museum also house a Temari library, supplies shop, and museum shop (to purchase finished temari). The temari on display are rotated monthly, and comprise many works of students and teachers of the Association. Successful applicants for Shihan/Teacher and Kyoujyu/Professor (levels 3 and 4) will have the temari that they submitted for judging become property of the JTA, to be used in both the rotating temari displays (as well as mobile exhibitions) and also offered for sale in the museum shop (to help support the overall mission of the JTA as well as generate operating capital). Membership in the JTA is open to anyone wishing to join, with the membership year running April 1 - March 31, following the traditional Japanese fiscal/academic calendar. As of 2014 there are about 1200 members of the Association. Additional information can be found on the membership and certification page. About Temari: While an ancient Japanese Temari is said to be originating from Kemari (kickball type game) and originally coming from China and made from deer hide during the Asuka period, Temari (hand ball) called Onna Mari were used by women in the royal court castle to show off and compete with their kagari (stitching skills) to gain the attention and favor of their favorite princes. The temari used to be made with kakagari (using silk threads) among the upper class, but when cotton threads became readily available in modern times, regular/common people began making them using cotton thread. Temari made in this way spread to many areas of Japan and each area established its own recognizable style. Temari is a traditional, highly artistic culture and skill in that each design shows the unique characteristics of the maker's free ideas and creativity. About Nihon Temari no Kai Establishment: In 1968, "Temari Junikagatsu" (Temari Twelve Months) was published by President Emeritus Chiyoko Ozaki (known to us now as Ozaki-Sensei I). It was greatly accepted by many people who loved Temari from all over Japan. Popularity grew so much that in 1979, Nihon Temari no Kai was established in Tokyo. Since then more than 20 books in which traditional Temari making techniques and designs from many areas of Japan, as well as newer, more modern designed Temari have been published, with new works continuing. Japanese Temari became so popular among people in countries outside of Japan that Nihon Temari no Kai has been holding instructional classes as well as traveling exhibitions in many places around the world each year. Purpose/Mission of Nihon Temari no Kai: To continue and carry on the traditional Temari craft, promote its artistic quality, and foster successors to the traditions of the craft. In addition, to deepen understanding among members, foster international exchange, and support the Japanese culture. Activities of Nihon Temari no Kai: Temari Gallery (rotating monthly exhibits), Lectures, Teaching, Social gatherings, Cultural exchanges and volunteer works, Certification of Skills, Publishing of Newsletter & Books, and other works necessary for the goal of preserving and promoting traditional temari. Guide to the Museum: The gallery of ancient & modern traditional crafted Japanese Temari is offered; visitors are welcomed. Every month the exhibition of displayed Temari is changed. Located at: 1-15-12 Seta, Setagaya-Ku, Tokyo 158-0095, the Museum is open from 10am to 5pm with the last visitors admitted into entrance at 4:30pm. The Museum is closed on Tuesdays, the last day of every month, for End of Year/New Year from December 28 to January 3, and for Obon from August 12 to August 18. JTA members are admitted free of charge with presentation of their membership card; for all others there is a 300 yen (approximately $3.00US) admission fee. Experience from several that have visited the JTA suggests that you have your hotel or host call the JTA to be sure that it's open as scheduled. The best way to secure transit is to have the hotel clerk or your host write the address on paper to give to a taxi driver. The JTA is actually in a residential section of Tokyo, so plan accordingly. At present there is no one at the JTA that speaks or writes English, so if you don't speak Japanese or have a Japanese person with you, be aware of this need. (Please don't be confused by the names. TemariKai.com was named through the suggestion of a Japanese friend, since "kai" translates into "gathering, group, world..", in 1999, several years before we knew of the JTA Romanji. The overlapping is coincidental and does not imply a formal association, regardless of my membership in the JTA since 2005). Last updated 1/2015 © 1998 - 2015 G. Thompson/PuffinStuff, Inc.